- * Household water bills are expected to double over the next five years to pay for a $4.9 billion water strategy to secure Melbourne's water supplies + * Household water bills are expected to double over the next five years to pay for a $4.9 billion water strategy to secure Melbourne's water supplies. - * Estimated water production is 150 billion litres (150 gigalitres) of fresh water per year + * Estimated water production is 150 billion litres (150 gigalitres) of fresh water per year, approximately a third of metropolitan Melbourne's needs based on 2007 consumption levels. - * The plant is planned to be operations by the end of 2011 + * The plant is planned to be operations by the end of 2011. - * The plant is estimated to use about 90 mega watts (MW) of power per day. While a commitment was made to use renewable energy to power the plant in an attempt to make it greenhouse neutral, it is likely the plant will be powered by a co-located gas fired power station, which will produce signficant greenhouse gas emissions. + * The plant is estimated to use about 90 mega watts (MW) of power from the grid, which translates to 2160MWh per day. While a commitment was made to use renewable energy to power the plant in an attempt to make it greenhouse neutral, it is likely the plant will be partly powered by a new co-located gas fired power station or from power from the grid from coal-fired power stations, both of which will produce significant greenhouse gas emissions. * The Bracks government opposed the construction of a desalination plant during the 2006 Victorian State election, but reversed its position after the election and committed to building it. * The Bracks government opposed the construction of a desalination plant during the 2006 Victorian State election, but reversed its position after the election and committed to building it. * There was no proper public consultation process that provided input to inform the Government decision to build the plant. * There was no proper public consultation process that provided input to inform the Government decision to build the plant. 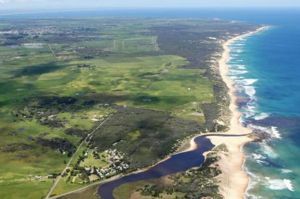 - * Signficant energy (with associated greenhouse gas emissions) will be required to pump desalinated water frm Wonthaggi. + * Significant energy (with associated greenhouse gas emissions) will be required to pump desalinated water from Wonthaggi to Melbourne. + * More than 1.4 million tonnes of greenhouse gas will be pumped out during the construction of Victoria's proposed desalination plant, and another 1.2 million tonnes emitted each year once it starts boosting Melbourne's water supply. + * Greenhouse emissions during the construction of the plant, and about 70,000 tonnes from waste decomposition and transport during its operation, will not be offset. + The proposed plant is estimated to need between 90 and 120 MW of electricity to operate. + * Domestic water tanks are capable of supplying over 95 per cent of the water for a house in Melbourne. + * 600,000 households could save up to 160 gigalitres of water per year by using captured rainwater and reducing their daily consumption. + * The energy required for domestic water tank pumps would multiply to 140 KWh of energy per day for these same households. + * The proposed desalination plant would consume 15 times as much energy just to operate. More energy would be required to pump the water it produces to Melbourne. - * The capital cost of the plant would could equip about 600,000 households with tank systems and pumps (at $5000 per house) that could provide more water than the plant's estimated production. Combined with recycling sewerage water and protecting our catchments, we may not even need desalination. + * The capital cost of the plant would could equip about 600,000 households with tank systems and pumps (at $5000 per house) that could provide more water than the plant's estimated production. Combined with recycling sewerage water and protecting our catchments, we may not even need desalination. This option would require about 140 MWh of energy per day, while the desalination plant would consume 15 times as much energy just to operate (2160 MWh per day). + * [[Stop logging Melbourne water catchments|Stopping logging in Melbourne's water catchments]] would provide an extra 30 gigalitres of water, which would be much cheaper than paying for the same amount of water to be provided by desalination. This water would also not require pumping to Melbourne. + :''"Rainwater tanks are five times more energy efficient than desalination plants and twice as energy efficient as the proposed Traveston dam, per megalitre of water produced. + :"We are staring down the barrel of running out of water," says Priestley. Rainwater tanks, groundwater, stormwater, desalination, recycling, new dams, more efficiencies all need to be on the table - "each city has to look at all options, not put a red line through any of them, including recycling." This page has been accessed 202,456 times.